Procedure: Removes excess skin, wrinkles and sagging legs. Hospitalization: First night hospital admission. Recovery: Compression stockings. It is possible to walk again after two days. The Thigh Lift, is a surgical technique that eliminates excess skin, sagging and wrinkles located in the upper and inner thigh, which can repair sagging by aging or weight loss. The Thigh Lift surgery consists of the tensioning of the inner side of the thigh and the suppression of the excess skin and in some cases fat, beautifying its appearance and recovering its natural firmness. In addition to the aesthetic improvement, this treatment favors the hygienic aspects and comfort of movement, avoiding the friction that can give rise to subsequent dermatological problems. What is not a Thig Lift? The Thigh Lift surgery is not recommended as a method for the removal of excess fat, since for this purpose the indicated liposuction. Only this last intervention is able to eliminate the unsightly fat deposits, in those areas where the skin has a good elasticity, being able by itself, to adapt naturally to the new contours of the body. In cases where skin elasticity is not very good, a combination of both liposuction and thigh lift procedures may be recommended. After the initial examination, Dr. Julio Puig will explain what the thigh or crural lifting intervention consists of, if you need preparation and how it is the recovery. It has realistic expectations of what can be achieved with the operation. Is a non-smoker or at least stop smoking when the surgeon instructs. Actually, your thighs cause discomfort and discomfort when walking, exercising … as well as concern for your appearance. The thigh lift, as well as any other surgery is a very personal procedure and therefore the person who is thinking about it, must do it by itself, not to satisfy the wishes of another person, or to try to Adapt to any type of ideal image. The decision is very personal, and the person who is thinking about it, must decide whether the benefits they will achieve will match their goals, as well as whether the risks and potential complications of cosmetic surgery are acceptable. The surgical goals of the thigh lift intervention. Medicines, vitamins, herbal supplements, alcohol, tobacco .. If there are previous surgeries. In addition, we will evaluate your general health, as well as pre-existing health conditions or risk factors, take photographs, discuss possible options more suitable to achieve your goals, the existence of other non-surgical alternatives, the results of the thigh lift procedure, and any risk or potential complication. It is very important to understand all aspects of this surgery. It is natural to feel some anxiety, whether it is emotion because of your new look or a little preoperative stress before the thigh lift. Do not be shy about talking about these feelings with your plastic surgeon. After the initial examination, Dr. Julio Puig will explain what the intervention consists of, if you need preparation and how it is the recovery. Legs or Thigh Lift: Crural lifting is a surgical procedure that consists of removing excess skin, wrinkles and sagging in the thighs.. The Surgery: A tightening of the inner side of the thigh and the subsequent removal of excess fat and skin is performed. Result of Operation: Contoured legs and a slight scar. Surgical Intervention: It is generally performed under epidural anesthesia and the duration of the intervention is usually between 1 and 2 hours. Hospital admission is made the first night. Recovery: Dressings or bandages may be applied to the scars as well as small tubes to drain any excess fluid or blood. The doctor may prescribe analgesics in case of discomfort. Tips for a quick recovery: After the second day you can start walking in a moderate way. It is necessary to wear compressive stockings for a period of approximately 1 month. The use and handling of compression garments in the treated area. Some guidelines on the activities to be carried out in the days after the intervention. When you as a possible patient ask us about the price of the thigh lift surgery, you must take into account that for us, the most important is your health and that in any case the price depends on the personal characteristics of each patient. The recovery and specific characteristics of each patient should be supervised by a qualified Plastic Surgeon. If you want more information about this treatment, (thigh lift price, which is included in the price, doubts about the intervention, preoperative and postoperative ….) 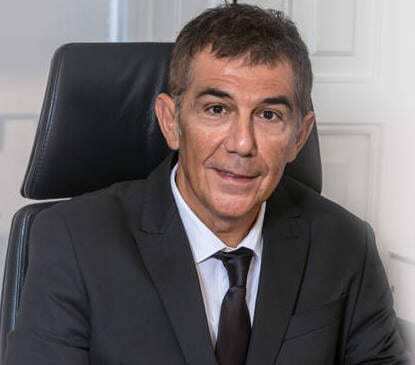 call us or make an appointment and we will attend you with total confidence In our clinics in Valencia and Gandia, without commitment and with the guarantee offered by Dr. Julio Puig with more than 20 years of experience.